Check out our new Deep Green Resistance subreddit, where we have postings from our chapter websites, Facebook pages, and the DGR News Service, plus stories submitted by visitors. Reddit provides a great platform for finding, discussing, upvoting, and sharing articles of interest, so take a look and Subscribe to the subreddit if you find it interesting. As the subreddit becomes more active, we’ll draw on it as a source for our other media channels, so it’s a great place to add anything related to radical activism and resistance to civilization which you think we should share more widely. We look forward to growing this newest platform for Deep Green Resistance outreach! 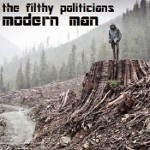 the filthy politicians, with Jamie Little, make a musical (and succinctly logical) argument for forcibly stopping the insane dominant culture, which is akin to an axe murderer frantically killing everything within reach. They reiterate a point often made by Deep Green Resistance: we need it all in this fight – propagandists and fighters, books and bullets. And those fighters on the front lines depend on supplies from a support base. There’s a place for everyone in this culture of resistance, so find yours before it’s too late for life. keep on keepin on or do you have it in you? but for supplies in the night, can we depend on you? I love you Dad, I really do. So, it kills me to feel this way about you. There was a time when we could converse, talk late into the night about the universe. We shared stories, sipped drinks and poked fun at the world, we agree on so much it was great to be heard. Your opinions were from life and they were your own, you gave me advice when I felt so alone. We barely talk now when we get together, the only safe topic seems to be the weather. The stories you share now all come from TV, there’s nothing about you, us, or your family. Your opinions aren’t your own, in fact they’re quite sour, we can’t talk politics or we argue for hours. Your views no longer make sense they are based on the news, we’re at odds now even my kids are confused. I love this planet, you used to love it too. Can’t you tell from the villains and those who speak true? You challenge every thing that I say, yet you don’t take a minute to see things my way. It hurts to be belittled by someone you trust, I guess we’re done talking…. I’ll just leave you to rust….